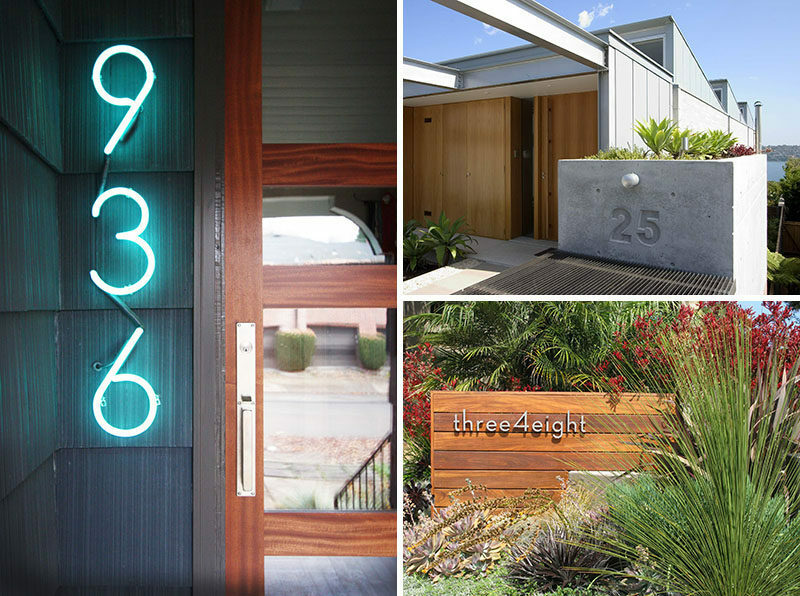 Every house needs house numbers. But not every house has to have boring house numbers. They’re easy to change and can make a place feel fresh and new when you find just the right ones. 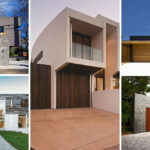 To give you some inspiration, here are 10 examples of house numbers that contribute to the overall personality of the home while serving their function as address indicators. 1. Large numbers on a sliding gate are a great way to grab the attention of people looking for your house. 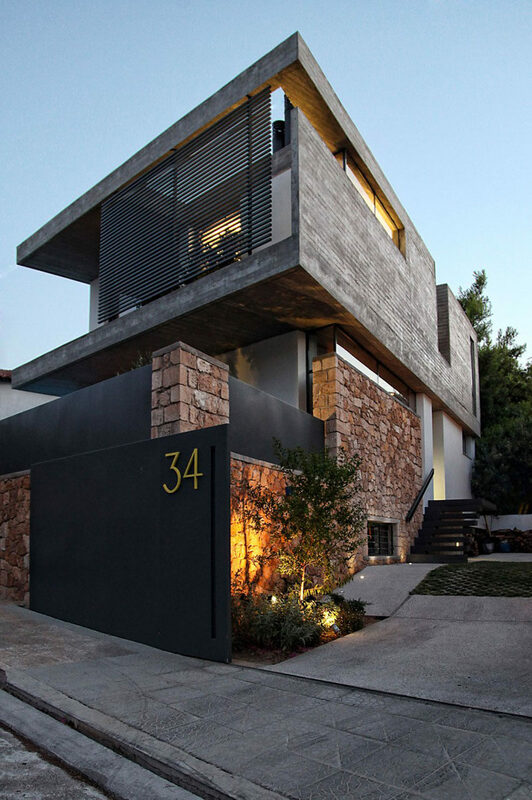 Inspiration from the A&A House by WoARCHITECTS. Photography by Ioanna Roufopoulou. 2. 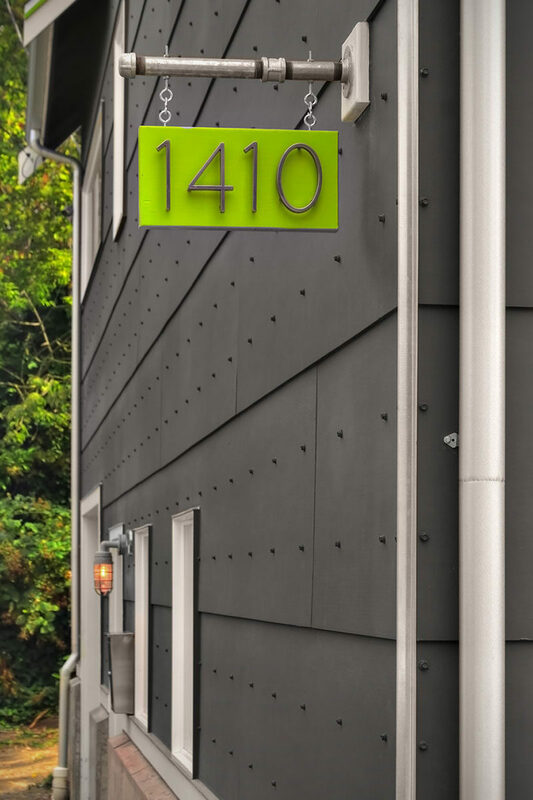 A bright hanging plaque displays your house number and adds a stylish pop of color to your exterior. Inspiration from the McKelvey Residence by RW Anderson Homes. 3. 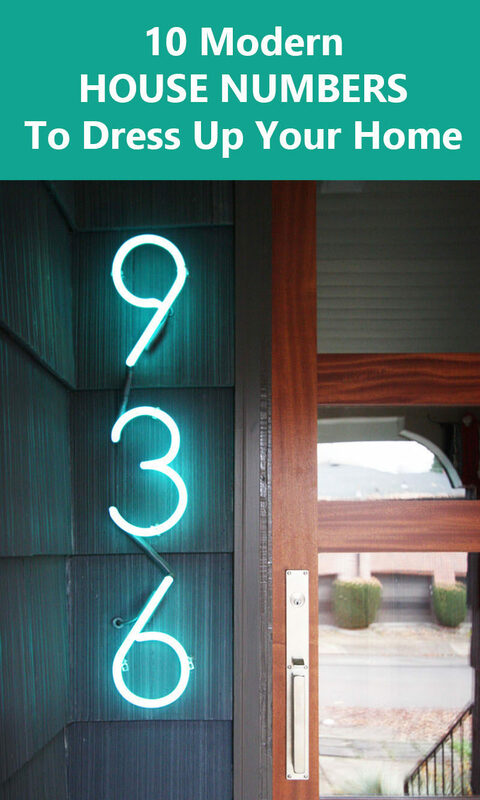 Neon house numbers are sure to be seen by all who are looking for your house and they can be done in any color to match your exterior. 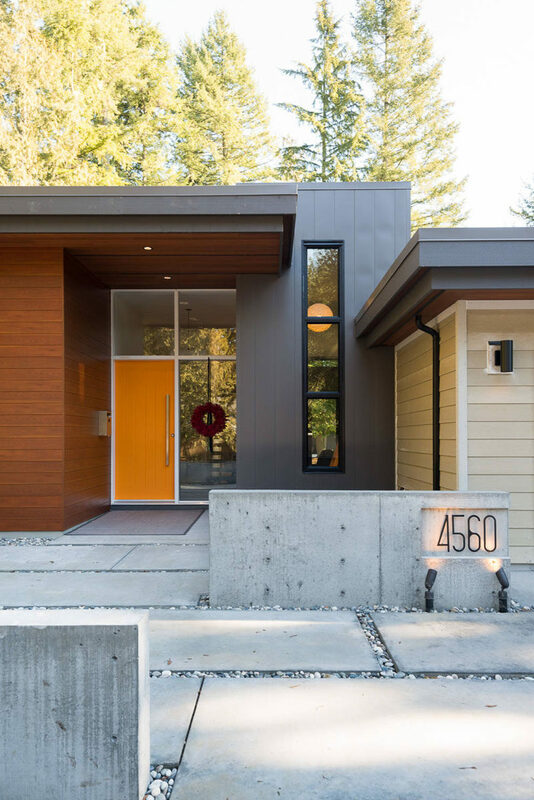 Inspiration from the SE Portland addition by bright designlab. 4. 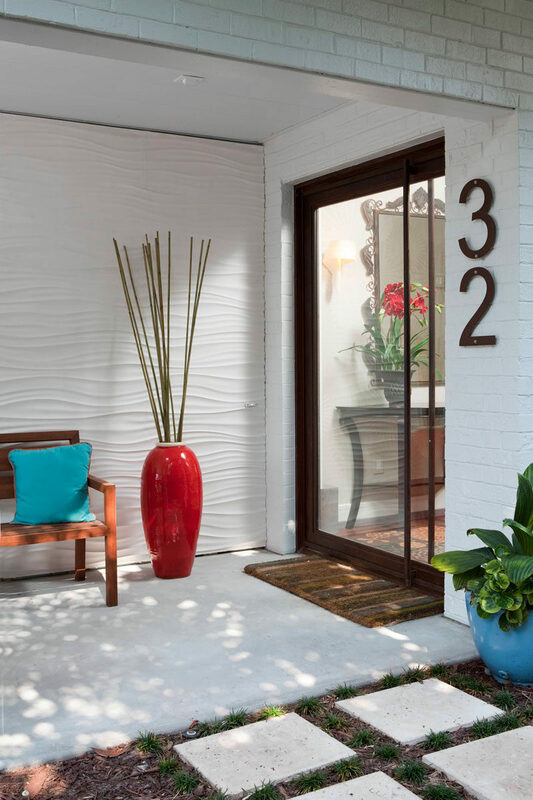 Having your house number imprinted into a concrete block is a unique way to display your address and increases your curb appeal. 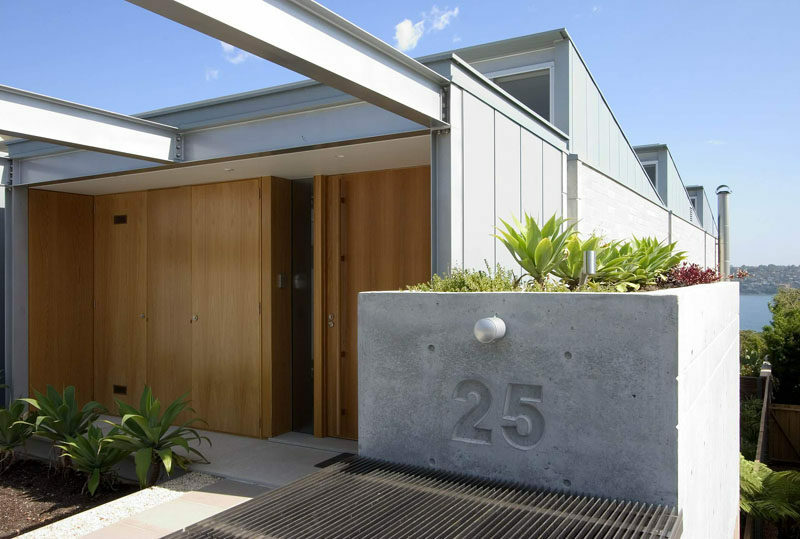 Inspiration from the Mosman House by Porebski Architects. Photography by Andrew Worssam. 5. 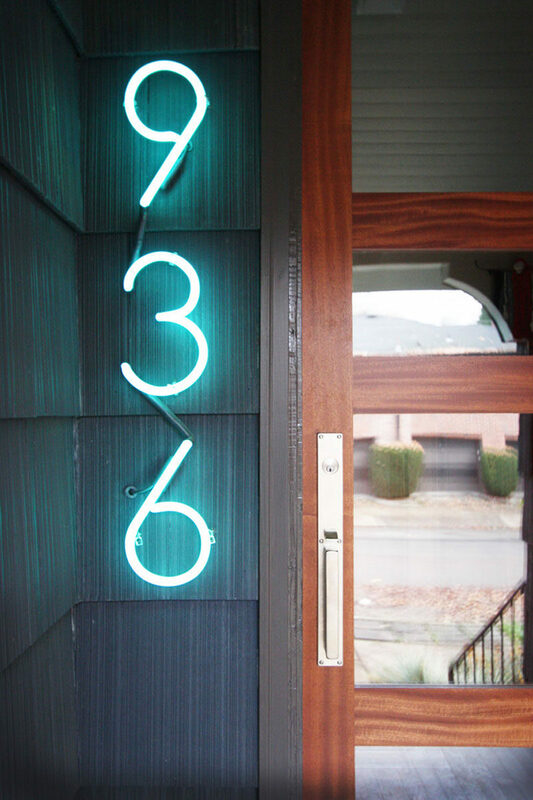 A combination of numbers and words is an interesting way to add some spice to your house numbers, and helps you stand out on the block. 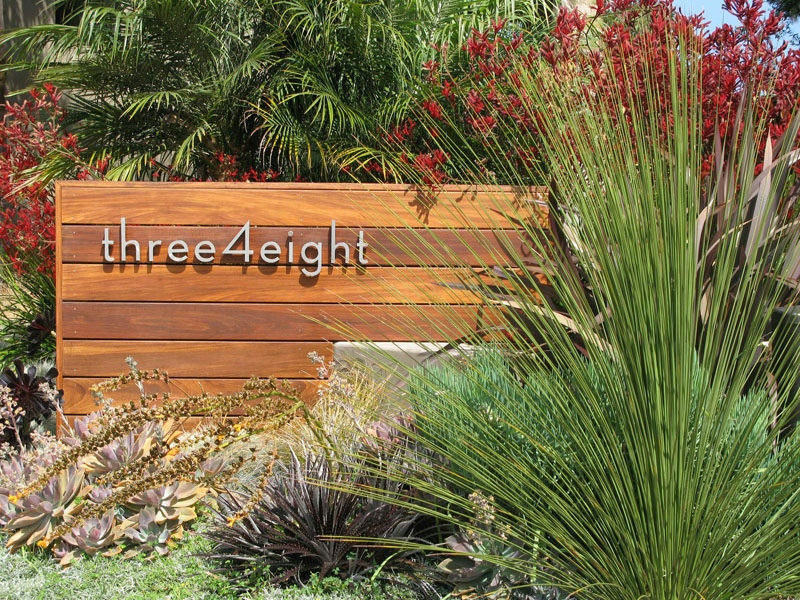 Inspiration from the Leucadia Modern Garden project by Debora Carl Landscape Design. 6. Have the house numbers further away from the house, on a short wall made from the same wood as the rest of the house. 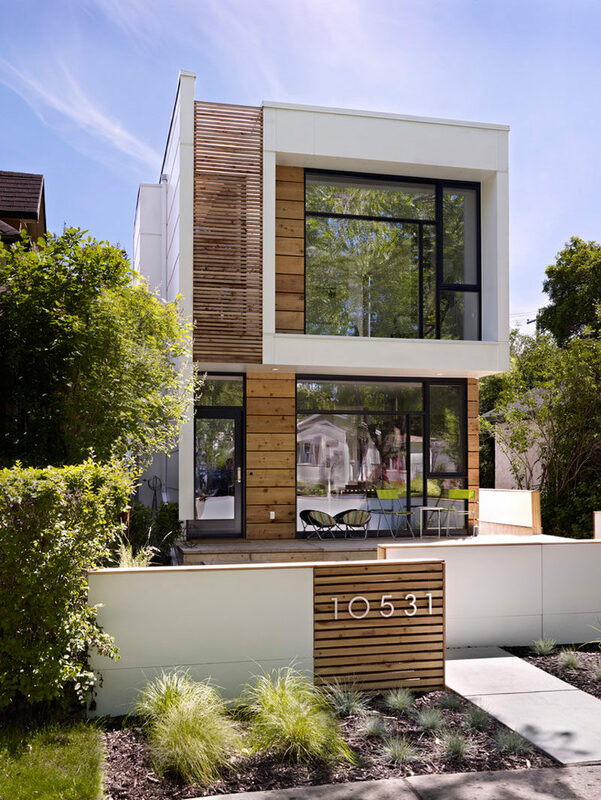 LG House by thirdstone inc. Photography by Merle Prosofsky. 7. Using a font that’s different from everyone else on the block is an easy way to set yourself apart and make your house look extra modern. Inspiration from Langley Modern by Lonna Peters. Photography by Full Circle Photography. 8. 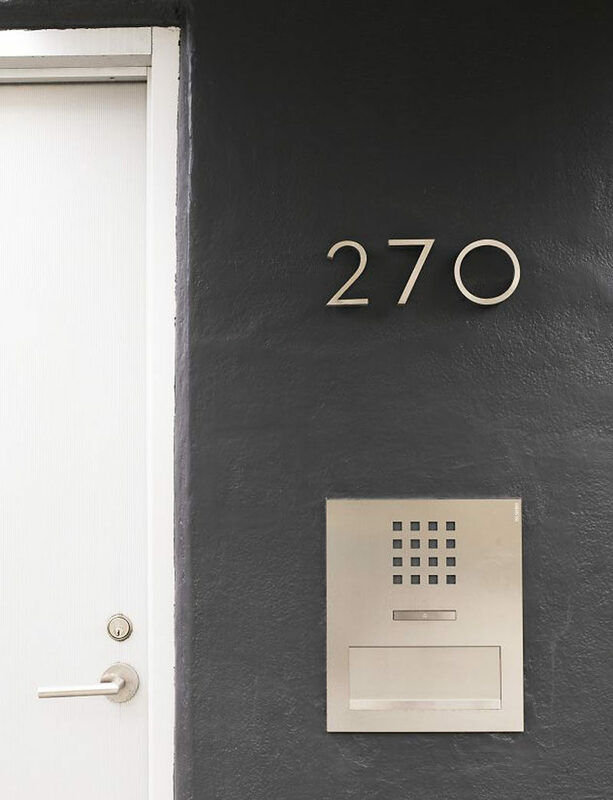 Minimalist numbers added right beside the front door are a classy way to display your address and won’t be missed by people looking for your house. Neutra Modern House Numbers designed by Richard Neutra. Available through Design Within Reach. 9. 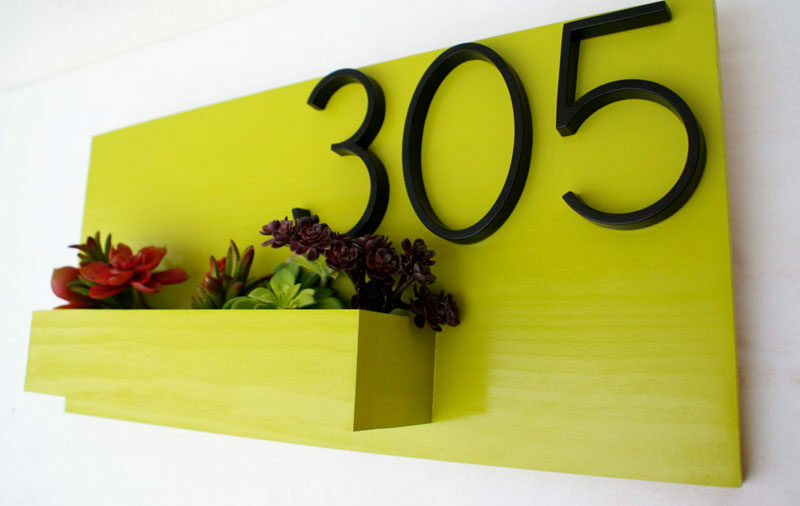 House numbers don’t have to be just attached to the side of your house, you can also incorporate them into a planter design. 10. If you only have a couple of numbers to put up, why not supersize them! It’ll help them stand out, and will add a unique touch to the exterior of your home. 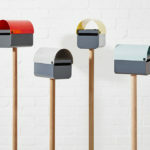 Inspiration from the 32 House by Tongue & Groove.